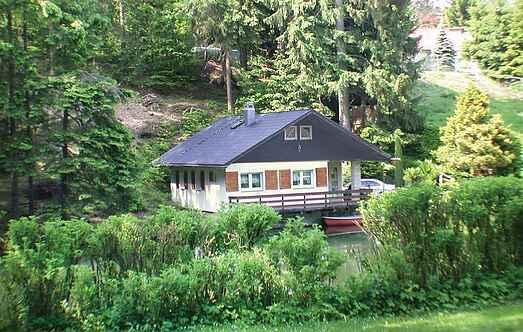 Find a vacation home to rent in Hildburghausen from our list of vacation rental properties. Campaya has over 25 vacation homes available in Hildburghausen, which give you the possibility to locate a unique accommodation in Hildburghausen which completes your check-list in search for the perfect self catering vacation apartments in Hildburghausen or vacation villas in Hildburghausen. This cosy and comfortable house is situated near the forest in an undisturbed location. Just outside the door you have a small nature pond for swimming, for example, after a sauna. This holiday extends on the second floor of the house. It has a separate bedroom with a comfortable double bed. The apartment is functional and modern. This elegant apartment extends over the ground floor. The spa with sauna, shower and relaxation area are on the basement and can be used for a fee. This cozy and comfortable semi-detached house is part of a quiet cottage settlement in 730 m altitude in the district Schnett in Masserberg. Cosy, romantic holiday homes, surrounded by nature. Cosy 2-person holiday home all to yourself in a quiet location.